Ciao a Tutti! and Happy Friday! I saw a cute little quip on Google Images when searching for “happy Friday” pictures. It said… “only one choice needs to be made today, will that be a glass or a bottle! ?” Well, we will let you decide!! I guess it all depends on what is in your glass or bottle? 🙂 A genie in a bottle, how about the guys, in a bottle? Wouldn’t that be cool if we could rub our magic lamp and out would pop our favorite guy saying “your wish is my command?” Ah, what would we wish for? What song would we have them sing? I’m so glad most of you enjoyed Lorna’s and my trip through Italy. Hard to believe it was a year ago. I wish I could post all of my pictures. I really thought I was going to bomb the site out last night when I was doing it. It was so long and so many pictures! Thankfully, it loaded just fine this morning. I’ve been organizing this site now for just about 3 months or so, with the great aid of our loyal writers and staff of Jane, Kelly, Daniela, Pat, Myron, and a few other contributors. Lorna and Pat will be debuting soon…. 🙂 We are still waiting for Marie to come back “officially” but she is having a wonderful summer, enjoying her time off. Even though she may not be commenting, she’s still reading! Yes, my evil ploy of digging out that post from many Augusts ago, worked! But, I believe she has gone back underground again, for the last of the summer. Enjoying lazy days by the lake in her cabin, tucked away in the hills of wherever it may be! The guys are wrapping up the European leg of their Notte Magica tour. 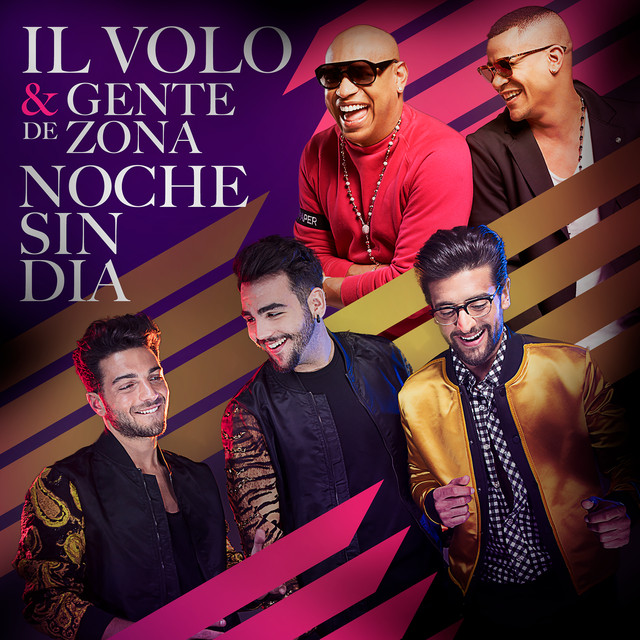 Already, they are adding more concerts to the Latin American schedule. They’ve also rescheduled a few concerts that had to be cancelled in Europe. I believe starting, possibly this weekend, the guys will be officially on vacation. I’m sure they are looking forward to a nice break, walking on the beach and spending time with family and other loved ones, as well as seeing friends they have missed the last several months. Since the guys will be on vacation in August, I thought I’d give our hard-working staff a break also! Sorry guys, it’s unpaid, but that’s the way it goes! Lol! This weekend will be the last “official” posting for the month of July. There will be one item posting on Saturday (haven’t quite decided which one yet) and Kelly will be posting her last weekend item on Sunday. Kelly will also be taking a little time off next week. 🙂 No, Kelly will still be posting her articles, but she will technically have weekends off! Of course, if the spirit moves us, or something exciting happens over the weekend, we will post it. But officially, The Flight Crew is on vacation for the weekends in August. We still have several personal accounts of peoples’ concert experiences from Germany and Taormina and I think one or two others that will be coming out. 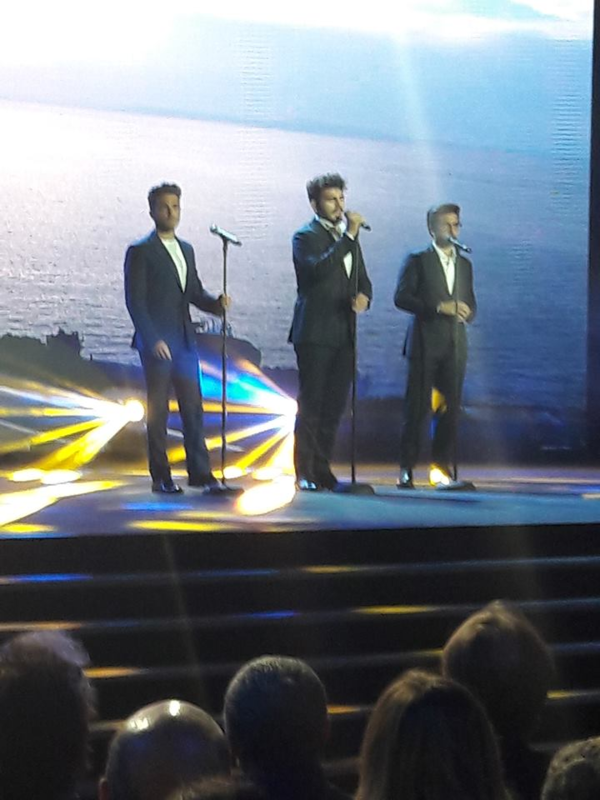 Also, we’ll be posting a wrap-up of Il Volo’s last appearances and concerts from the Wind Music Festival, Lucca, etc. and their last one, which I think is “today” – July 28, in Pula. I also plan on a few interesting “factoid” pieces and a nice article from Myron that fit nicely with something I had Pat put together. Look for these in August! This bit of time off on the weekend will also you give you some time to catch up on your Facebook and any other social media – as well as that dreaded housework or yardwork you’ve been putting off! Don’t know what the weather is like where you are, but Detroit, Michigan is having quite a beautiful summer! Not too hot. So far our only days of 90 were in June! Maybe a few in early July…. enough rain, no major wild storms; and thankfully, no fires, floods, or tornadoes, or earthquakes (yes, we do get them here, but we feel them from the fault line in Ohio – I’ve felt 2 or 3, it is freaky!). The weather has been almost fall-like the last few days. Tomorrow it is not even going to hit 80 and just barely 80 on Saturday. Yes, Michigan has the perfect climate – Jeannette will realize that very soon! 🙂 Have the window open right now, as I type in front of it in my bedroom, feeling the cold front coming in with the slight breeze out there. A little techie talk…recently, and a little while back, people have noticed, myself included, that our site is not “mobile” friendly. I’m not sure how to change that (if someone knows, please let us know!) and I know many probably only access this from their smart phones. Not sure how it comes through on tablets, probably ok, since the screens are so much bigger. Perhaps Kelly can take a look at how to figure it out. When we do our previews before publishing, we can do a “mobile view” and yes, it looks just like it does on my phone! I’ll nose around as well to see what I can find out. Ciao! Have a great weekend! August – here we come! Previous PostJana & Lorna, the Adventure Continues, July 6-8, 2016 – A Walk Through “L’Amore Si Muove!”Next PostAnother New Fan in Germany! Nice article, Jana! If you find a source for those magic lamps, please let me know…..I NEED ONE! Yall deserve a vacation…as for the weather…I’m in Texas….we’ve had a record number of 100° days…that’s why we’re so tough! If I could find Marie, I might join her! (Don’t worry, Marie, I’m just joking) Ciao everyone!! ❤ ❤ <3. Jana couldn’t get that flash back Friday. I’m glad the guys are finally on holidays to rest up. Hope we see some photos of Ignazio & Alissandra enjoying the sun at a beach. Enjoy your time out at a beach or where ever your going to vacation Flight Crew. You also deserve a complete rest & relaxation from working so hard at your jobs & on this site. See you when you return. If anyone is going to Italy hope you bump into the guys. Maybe Ignazio will spend some time at Nina’s Pizzaria. That’s where I would head to if I was there to taste Nina’s Pizza. Ciao. so sorry the link wouldn’t work for you!! they were so cute…. I’m sure Ignazio will visit Nina! Jana, thanks to you and Jane and Kelly for your great job of keepng the site functioning so beautifully. It will be great to hear from our dear Marie again…you all make the flight crew blog the best!!! I have been watching “Carpool Karaoke”. It is so funny. I hope someone will translate what they are saying . I recognize a few words , but that does not tell me much. Love the part where the driver leaves to do something and the guys are having a lot of fun carrying on. Personally, I have been doing car – karaoke for a few years since purchasing the first IL VOLO cd. Thanks to all of you for all your hard work in keeping us informed and updated. I love this site and it’s my first read in the morning. I loved the boys from that. Clip. Aren’t they wonderful and what a thrill to see how they have become such a sensation. They deserve a break and it’s well deserved. You deserve a break too for keeping everyone informed. I loved the article from the trip to the hometown of Gian. And the pictures were great. I wish I had been there winding up the road with you. I do not get out much so I haven’t a clue what our weather is I rest and live though your delicious adventures. Thank you and I’ll be watching for any news.